I love our library! We go to a tiny little library where I never have to use my library card because the librarians know my name (and library card number) automatically when I walk in the door. They still use a stamper to stamp the date a book is due in the back of the book. One of the librarians told me she can’t stand to give it up because she just loves the satisfying sound of the stamper clicking down on the page. When we check out books, we always chat with the librarians and they remember everything about the people in the small town they service. Well, it was time for the annual library bake sale. I almost always participate (except last year when I had strep throat – I didn’t think anyone would want to buy the germs I would have been baking into my baked goods if I had even had the strength to bake!). I thought it would be nice to try out one of Grandma Dora’s recipes for the bake sale. When I came across this recipe for Brown Sugar Loaf Cake, I decided to give it a try. Measure into bowl. All measurements level. 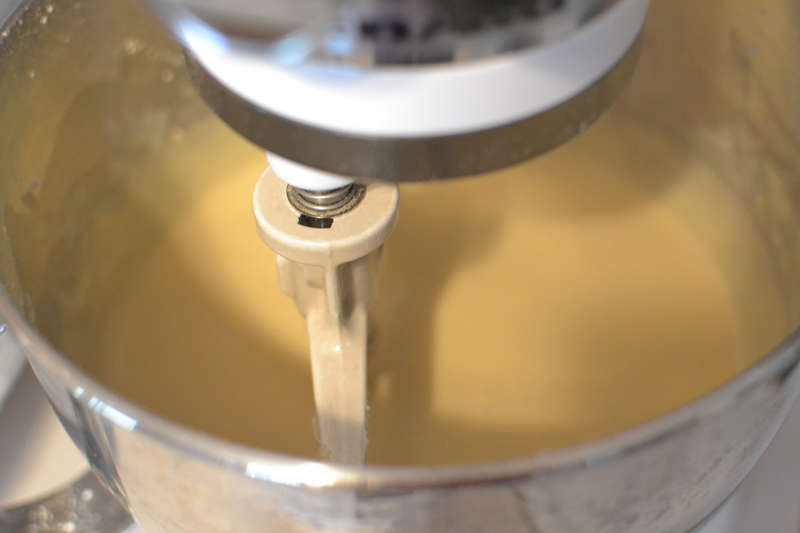 Mix vigorously by hand or mixer for 2 minutes. Pour into loaf pan 9x13x2. Bake in 375 degree oven 40 minutes. Cool cake on rack 15 minutes. This recipe was very simple to put together. I just measured the first set of ingredients into the mixer bowl. Then I mixed the ingredients for 2 minutes. Next, I added the rest of the ingredients and mixed for two more minutes. Because the name of the recipe is loaf cake, I was imagining it would go into a bread pan size dish. 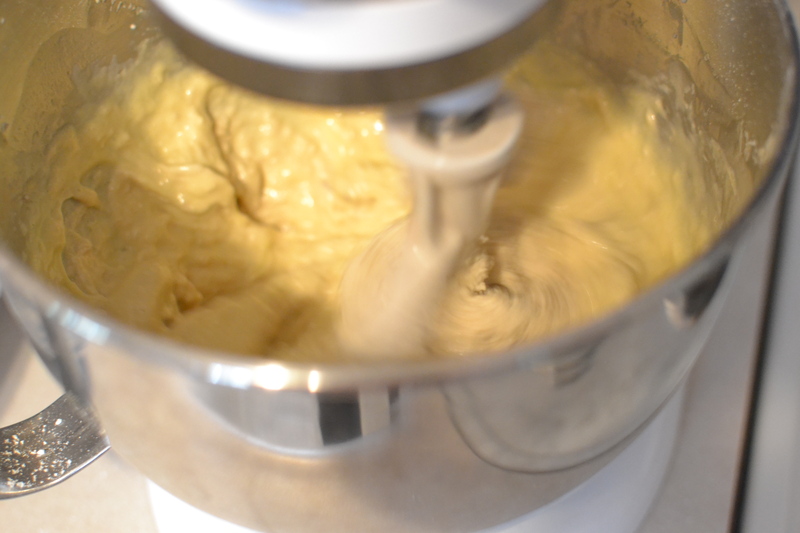 After I had stirred all of the ingredients together, I greased a bread loaf pan and started to pour the batter in. It didn’t even come close to fitting in there! I looked at the recipe again and noticed that the loaf pan was 9x13x2. Oh! They were talking about a 9×13 dish. Well, that made more sense. 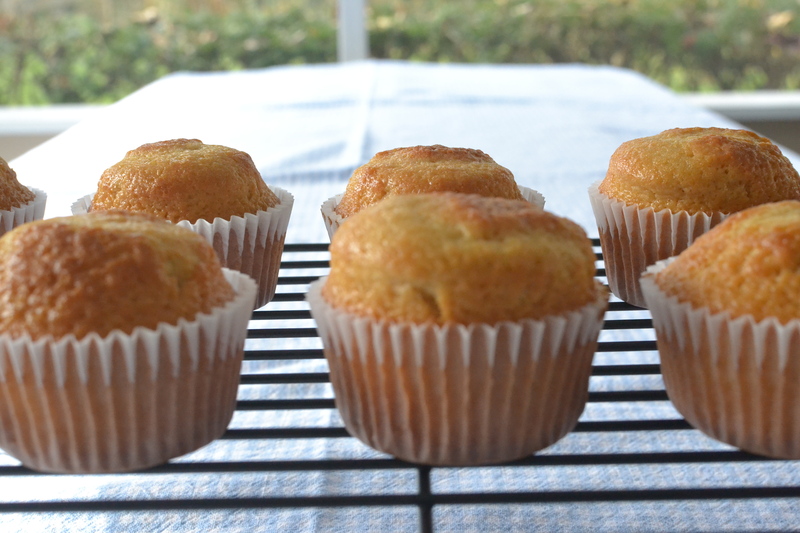 I decided I didn’t want to send my 9×13 pan to the bake sale, so I decided to make the batter into cupcakes. That would be much easier to package for selling. The cupcakes turned out beautifully. 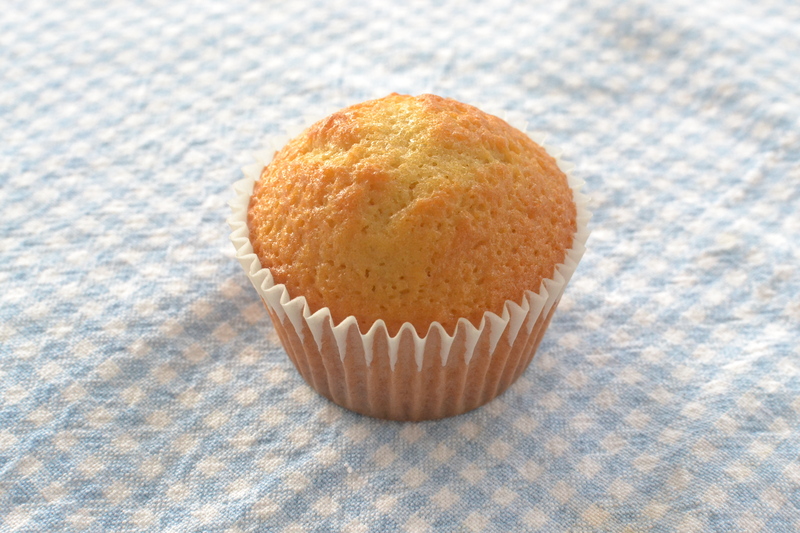 Wendy had recently made a brown sugar cake from the recipe box. This one was similar, but had it’s own delicious flavor. I considered using the brown sugar frosting Wendy had made with her cake. 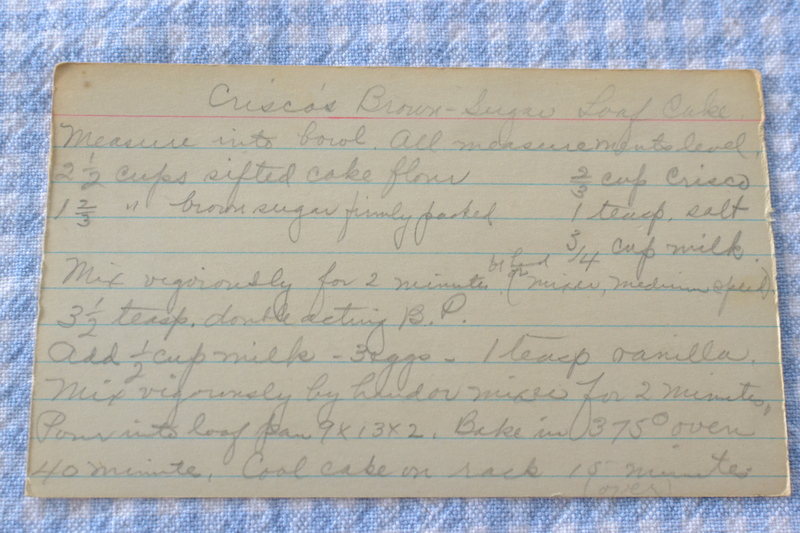 On the back of this recipe, though, there was a recipe for fluffy icing. I decided to try that instead and I’m glad I did (I will share that recipe with you next week). Wendy and I have noticed that a lot of brown sugar is used in these old fashioned recipes. Maybe that is what gives them such a distinct (and delightful) old fashioned taste. I hope you give this simple recipe a try. It doesn’t take much more work than a box cake mix and it is free of all of the preservatives you would find in a box mix. If you do try it out, let me know what you think! I think you’ll be glad you did! 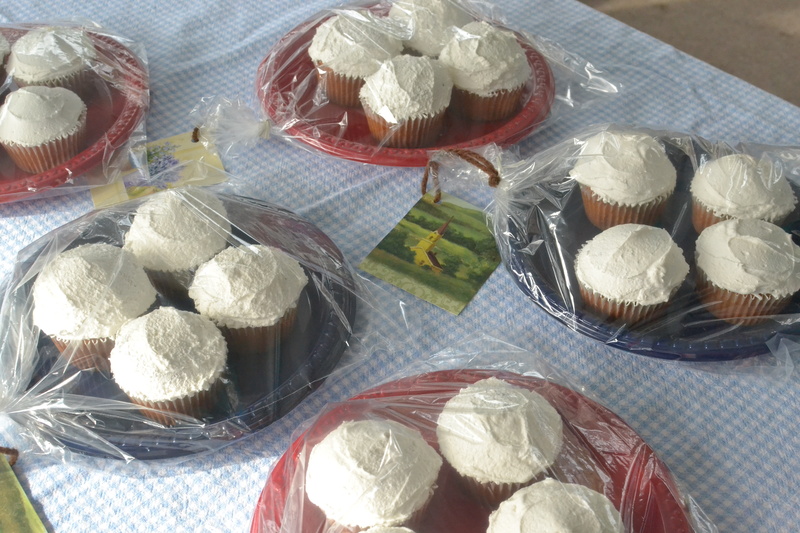 The cupcakes all packaged up for the bake sale. 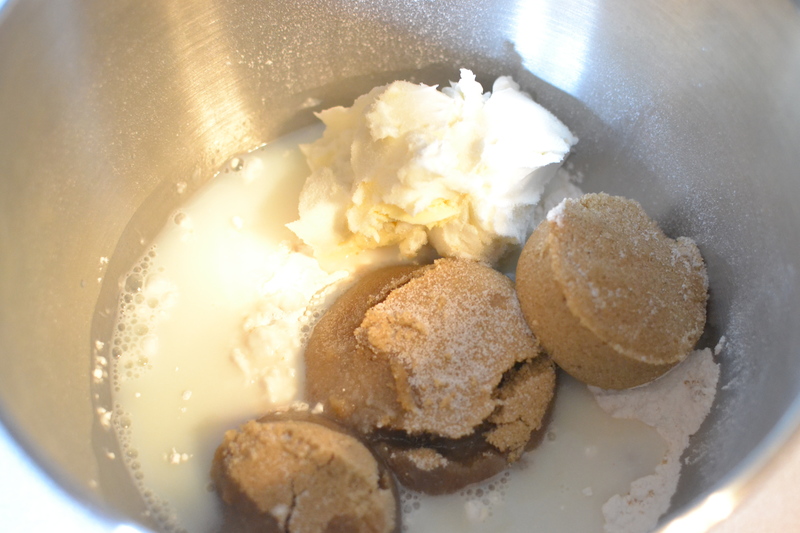 This entry was posted in Cake, cupcakes, Dessert, Snacks, Uncategorized and tagged baking, brown sugar, cake, cupcakes, dessert, grandma's cooking, homemade, Kitchenaid, scratch cooking by GrandmothersRecipeBox. Bookmark the permalink. Thanks Heidie! I love baking for the library sale!